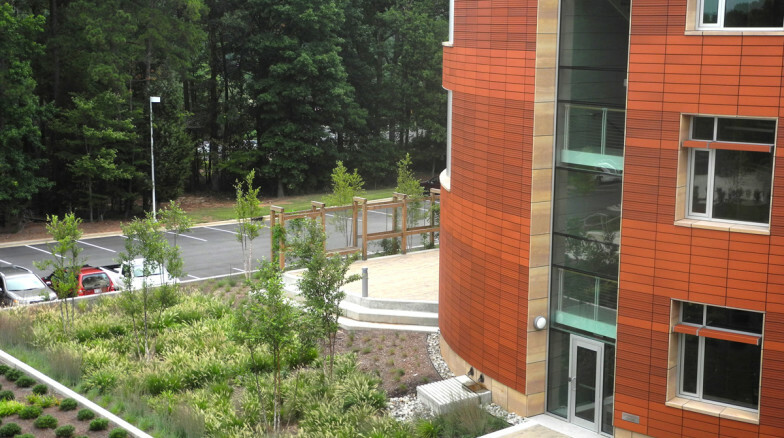 A $20 million LEED Silver addition to one of Research Triangle Park’s premier signature buildings provides 17,000 square feet of meeting rooms, offices and conference space for North Carolina’s leader in biotech industry support, education and innovation. 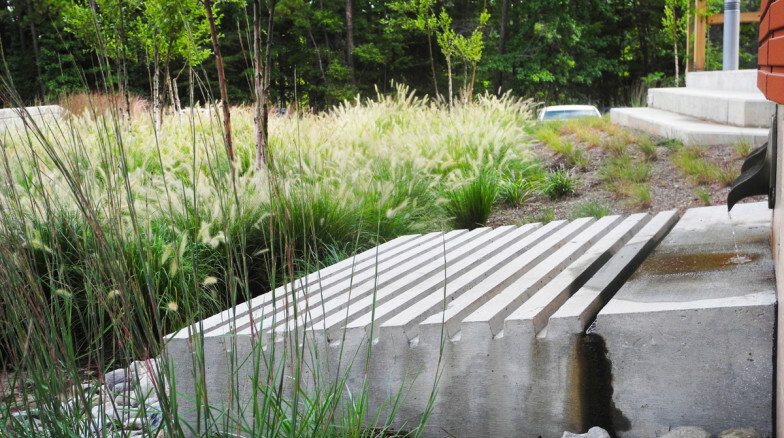 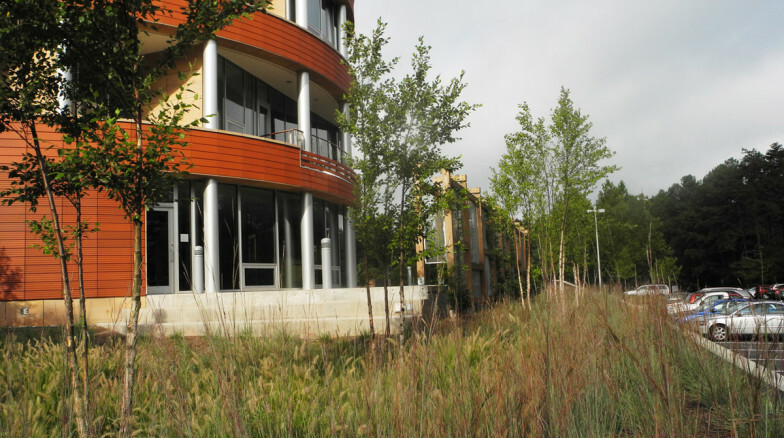 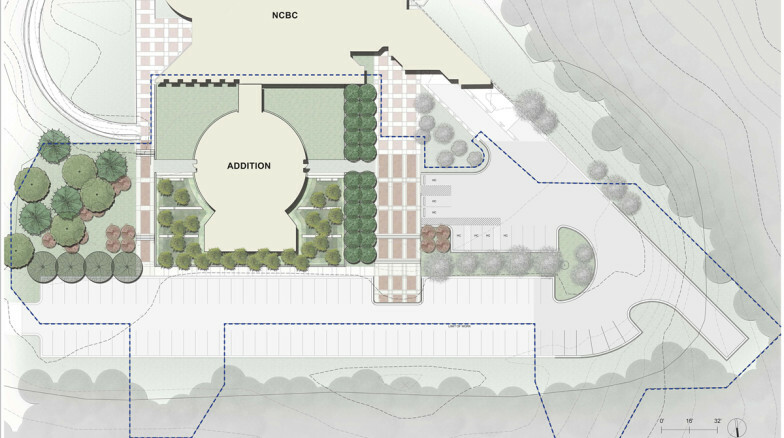 Rain gardens planted with native grasses and River Birch complement the formality of the building and provide filtration and slow release of roof runoff. 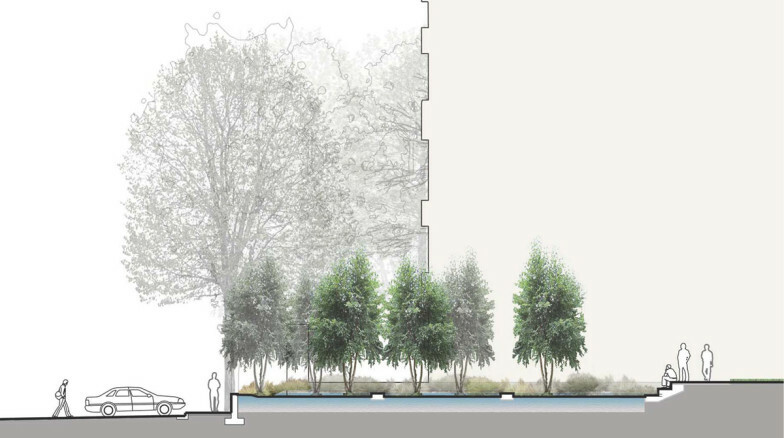 Parking for 200 cars is sited among wooded slopes and incorporates its own filtration system.